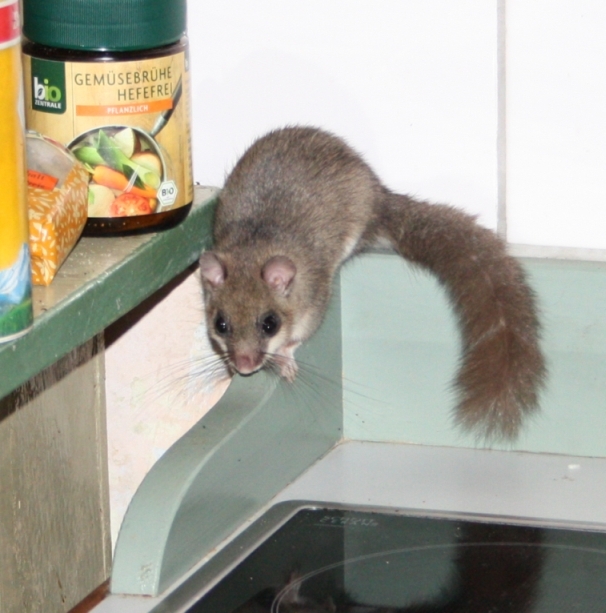 Already during the summer festival on 2 June 2013 our manually brought up fat dormouse showed up again in its intimate realm, namely the administrator's residence, after it had been released back into the wild 2 years ago. He sat on a backrest calmly observing the administror in her attempt to elicit him out of the room. One evening early July we were able to take a picture of him when he was looking for some food in the kitchen.